This post is eighteenth in a series of videos available in our new BYU Social Sciences YouTube channel! The channel contains tidbits of many of our most popular lectures and useful, succinct, research-backed advice on relationship, political, religious, media, and financial issues. Follow us there to stay up-to-date on wisdom that will help you and your family live better lives. 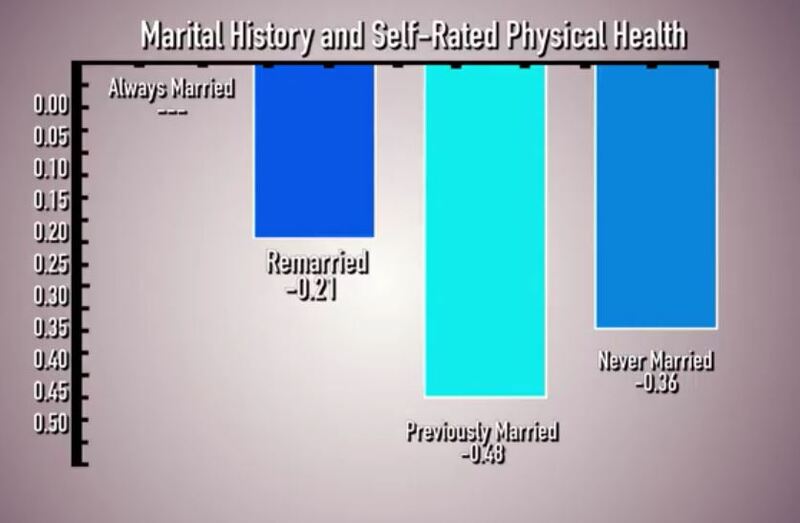 The previously married also reported worst emotional health, with those who had never married not far behind. 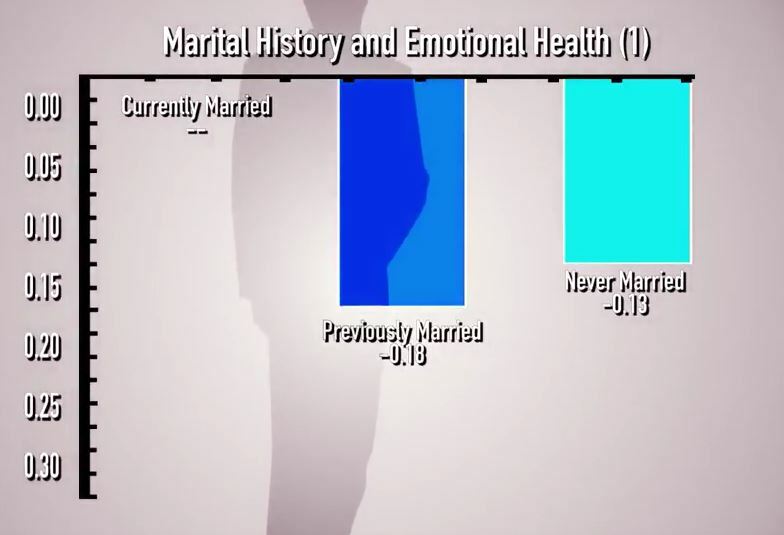 The short video below highlights the results of her research, shared in a 2010 Hinckley lecture by Waite. The full video can be viewed here.